CUSTOMER: Gabor L. Hornyak, PhD. 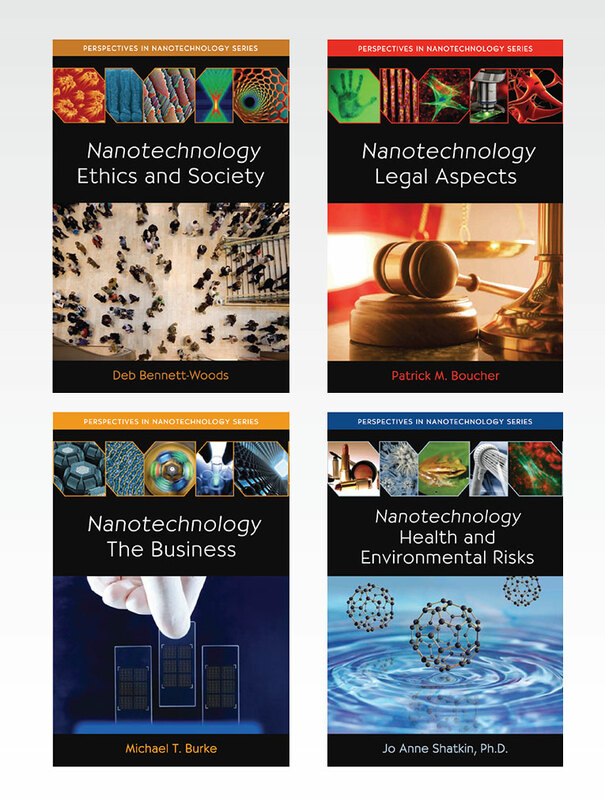 These four cover designs are part of a 12 book series, “Perspectives of Nanotechnology”, on various relevant topics by experts in the the respective areas. We designed these to have a common format between the covers. The interlocking-shaped framing mechanism provides a unique way to include more color images into the visual message of these high-tech topics.